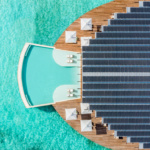 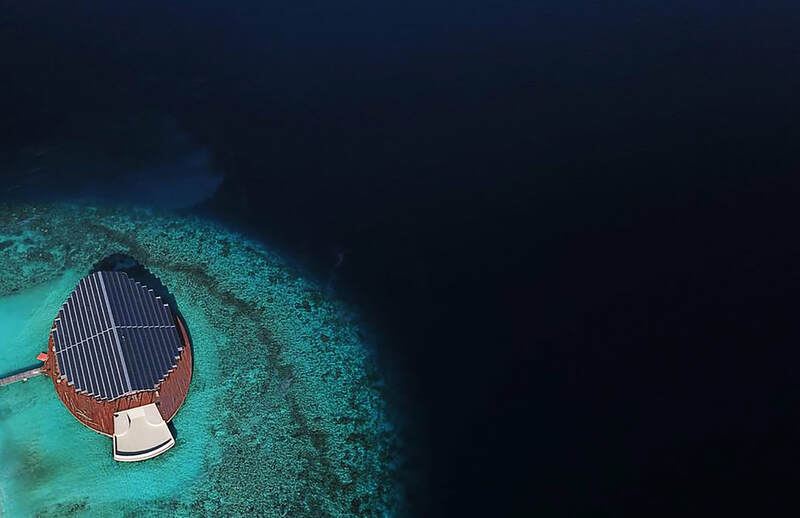 Hot on the heels of the world’s first underwater resort opening in the Maldives, an upscale hotel has opened a building with a distinctive solar panel roof on a private island in the Indian Ocean archipelago. 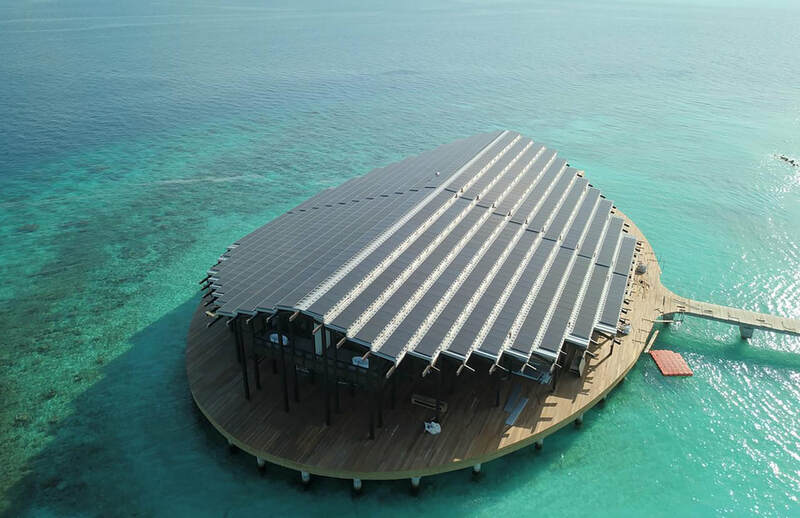 New York’s Yuji Yamazaki Architecture (YYA), which also created the submarine building, designed the new destination, known as the Kudadoo Maldives Private Island. 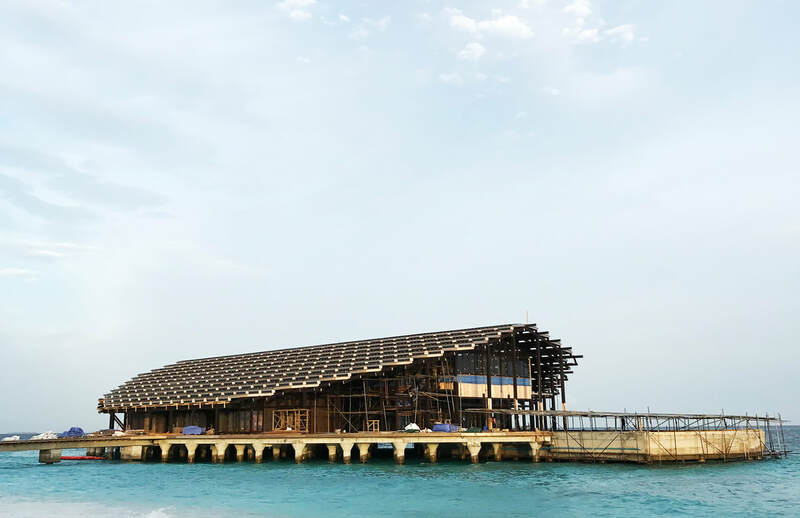 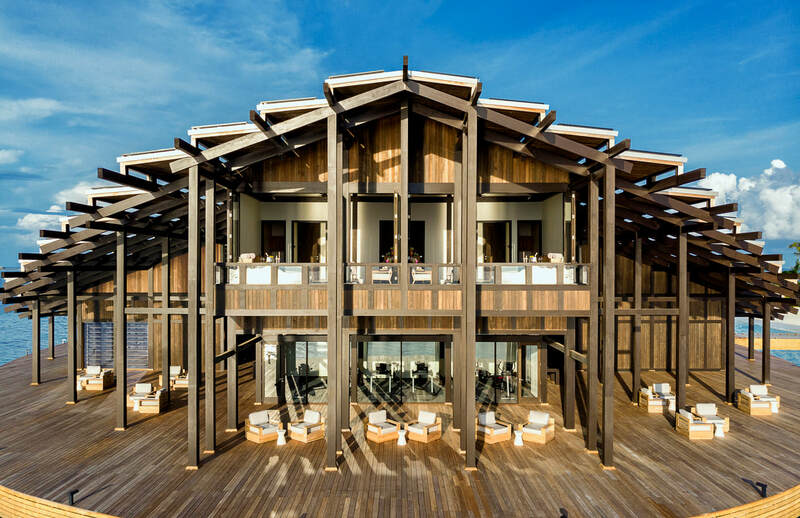 The architects claim that the 320-kilowatt-peak (kWp) capacity of the roof system is enough to power the entire resort and that the system will recoup its cost after five years of use. 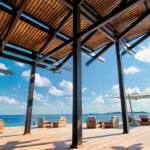 Other design touches, like gaps between the panels to allow filtered interior daylighting and an extensive canopy overhang for shading, aim to minimize power use. 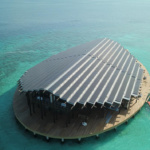 The Maldives, a low-lying collection of atolls in the middle of the ocean, are exceptionally sensitive to climate change and any subsequent sea-level rise. 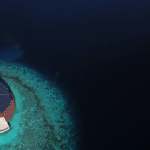 Some studies estimate that islands like the Maldives may be uninhabitable by the middle of the century as rising sea levels flood aquifers, damage infrastructure, and submerge livable space. 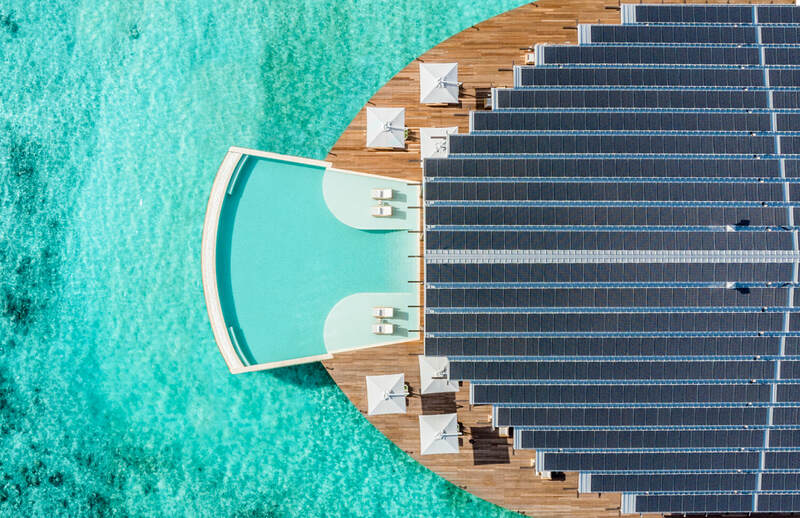 This makes the use sustainable power sources like solar panels particularly salient for the area. 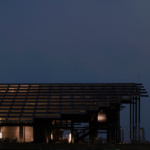 YYA chose to celebrate the panels on the roof rather than minimizing them or trying to camouflage them among other materials. 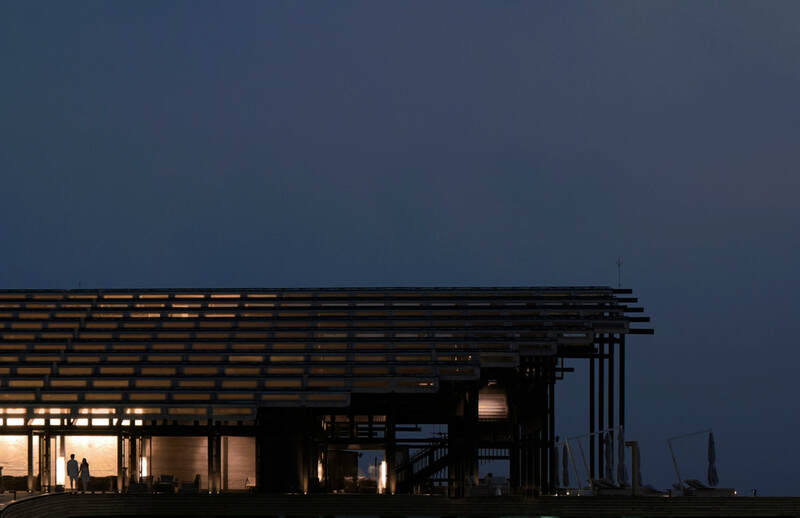 Visitors will primarily approach the resort by plane, and the panels will be one of the first things they see. 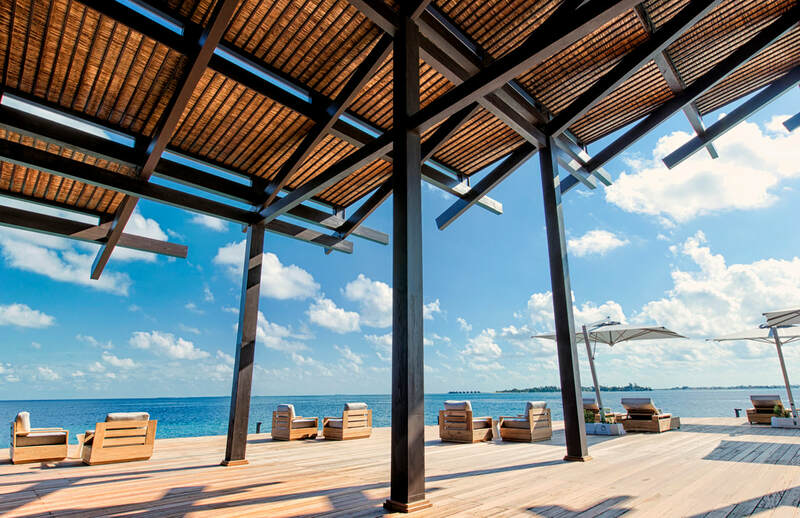 Of course, rooms at the private island don’t come cheap. 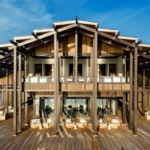 A recent search showed rooms starting at $2400 a night.